Corvus Energy will provide the lithium polymer Energy Storage Systems (ESSs) for an additional two new hybrid rubber-tired gantry cranes (RTGs) produced by integrator CCCC Shanghai Equipment Engineering (CCCCSEE) making a total of eleven RTG ESSs in service. Corvus Energy will provide the battery systems for an additional two hybrid solutions for new rubber-tired gantry cranes (RTGs) that will be produced by integrator CCCC Shanghai Equipment Engineering (CCCCSEE) for Shanghai Zhenhua Heavy Industry Co. Ltd. (ZPMC), the world’s largest port crane manufacturer. The cranes are for Shanghai International Port Group and will be installed in Yidong Terminal, Shanghai. CCCCSEE’s commitment to implementation of more efficient RTG’s directly lessens the environmental impact of crane operations. The use of battery hybrid technology substantially reduces fuel consumption and harmful fossil fuel emissions. The new orders will add to a total of eleven RTGs with Corvus ESSs. Cranes equipped in this manner are proven in the field to operate at optimal efficiency. Unlike conventional diesel electric port cranes, the CCCCSEE hybrid version is powered primarily from the Corvus ESS resulting in fuel savings of up to 65% with the added benefits of reduced operating costs with less greenhouse gas emissions and lower noise levels at the terminal. 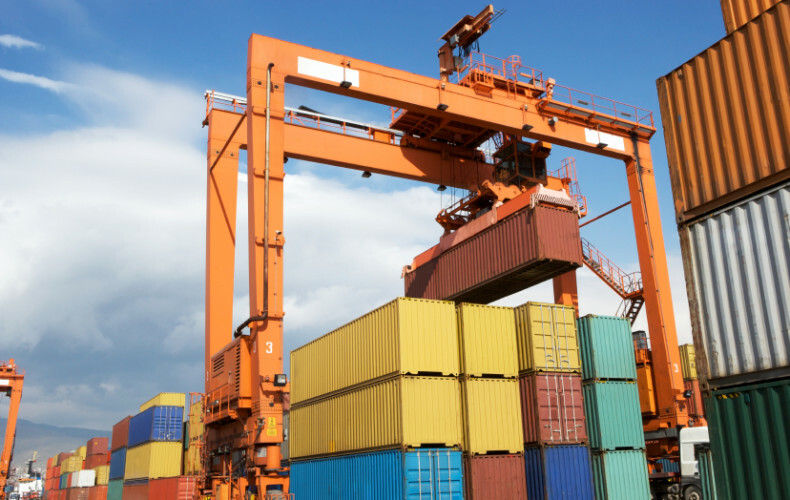 “We are pleased to see the proven operational performance of our lithium polymer batteries in some of the busiest container terminals in the world. Our strategic partnership with CCCCSEE to develop a cost-effective hybrid system and aggressive marketing plan for the port equipment market is the main driver of the continued success of our shared vision. This technology is an answer for busy port operators worldwide, who need to increase efficiencies while reducing emissions and the environmental impact of their operations.” Said Andrew Morden, CEO of Corvus Energy.